We saw two of the largest sea lion colonies in the Sea of Cortez on our charter. 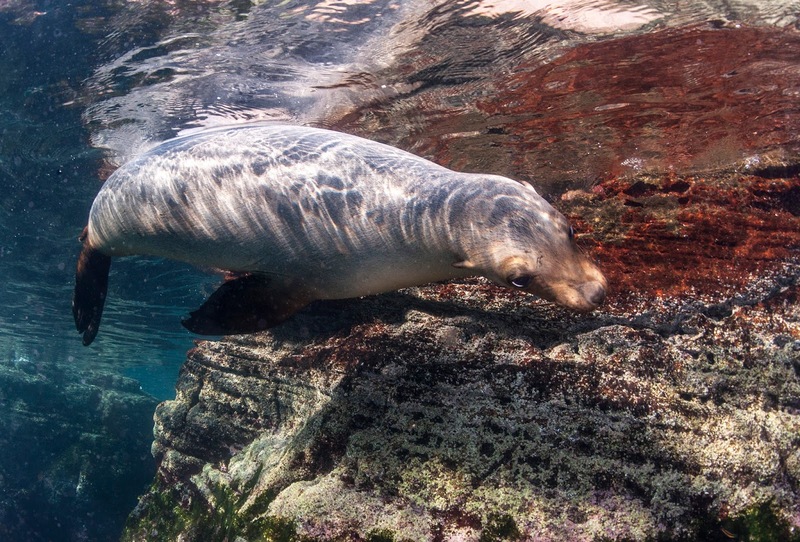 The craggy rock faces of the islets at San Pedro Martir are home to many sea lions and many varieties of birds and crustaceans . The shadowed grottos and cathedral like cave indentations provide shelter and shade for the animals living at the edge of the water. 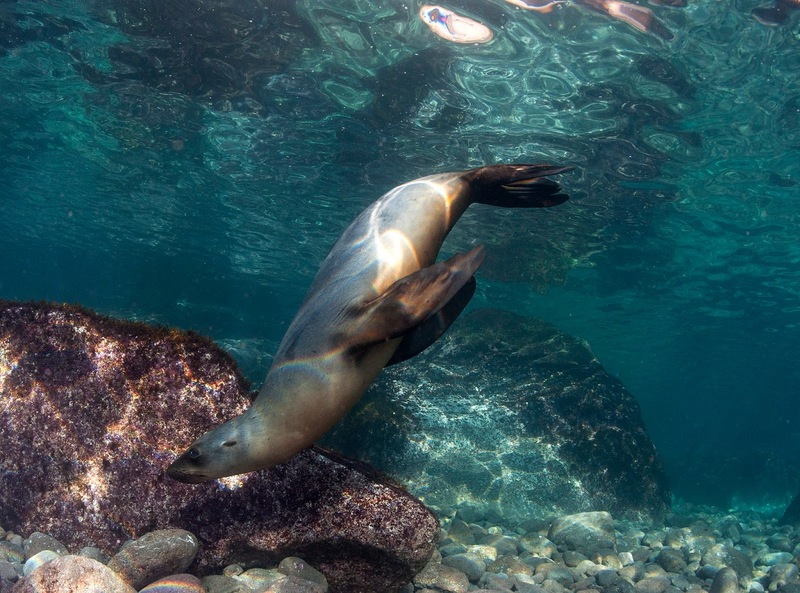 Once below the surface , divers were greeted by friendly beautiful sea lions gliding effortlessly among the boulders on the sea floor. The seals frolicked in the surging shallows at the water line. The animals pirouetted and spun in an aquatic ballet that was mesmerizing . If you observed quietly they floated toward you, eyeing cameras and lights, and posing like the most elegant doe-eyed models strolling a Parisian runway. 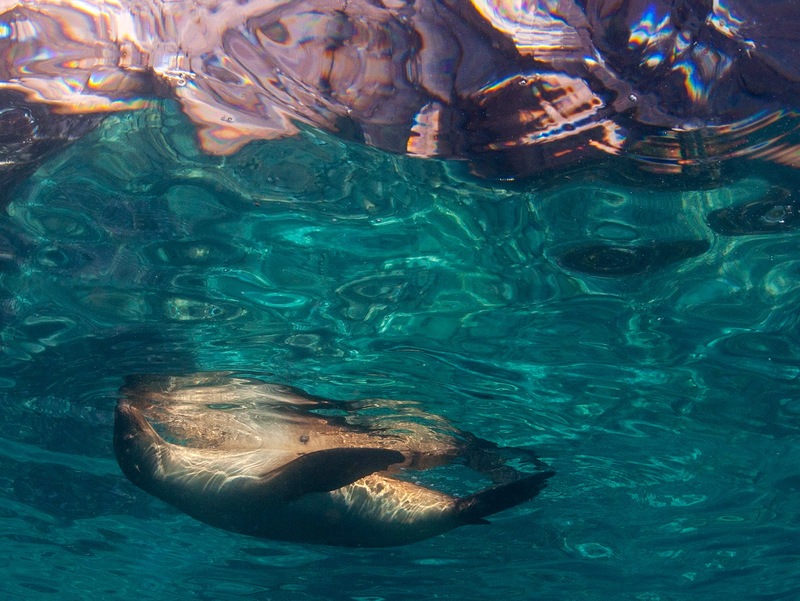 The seals floated on their backs kissing their reflections on the shimmering surface. Peering upwards one could see the towering rocks above the shallows. The colors of the sea lions skin are echoed by those of the stones:dark umber, golden tawny blonde, gray like a storm cloud, black as ink. 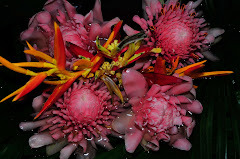 Imagine you are in aquatic paradise, silky warm water, cloudy and opaque like a raincloud about to shower you with surprises. You are floating here, with only a horizon marking the separation of heaven and ocean. Suddenly you are startled by a presence you sense, but cannot discern. Something large and magical is right next to you! 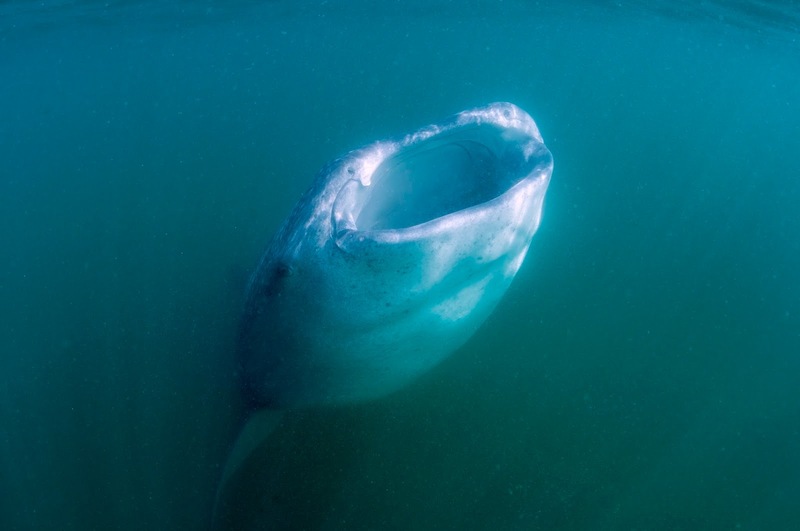 A dark charcoal spotted head the size of night table is right beneath you, and you scramble out of the way as the elegant creature the size of a mini-van slides past, its tail undulating . 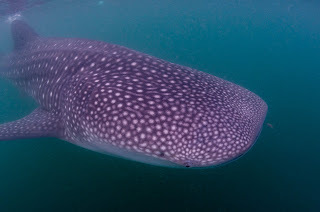 Our whale shark encounter lasted over two and half action packed hours, and I did not want to leave. The adrenalin rush and awe inspired by these amazing giants is indescribable . The whale sharks are used to divers and come up to the shallows to feed. Several of them bumped right into me and I had to be cautious not to touch them lest it disturb the protective coating on their skin . The water was extremely green and "fishy", making for the LOWEST visibility. 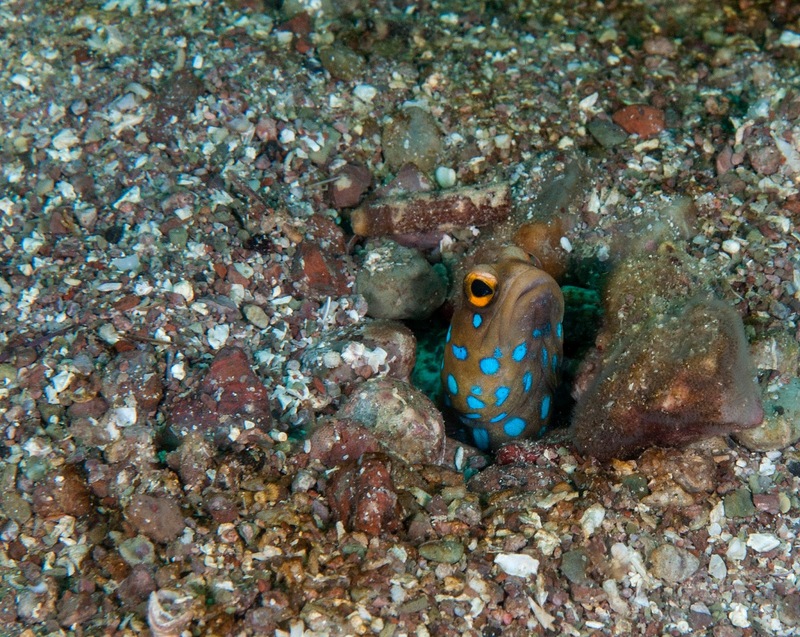 Taking photos while snorkeling next to them was challenging. 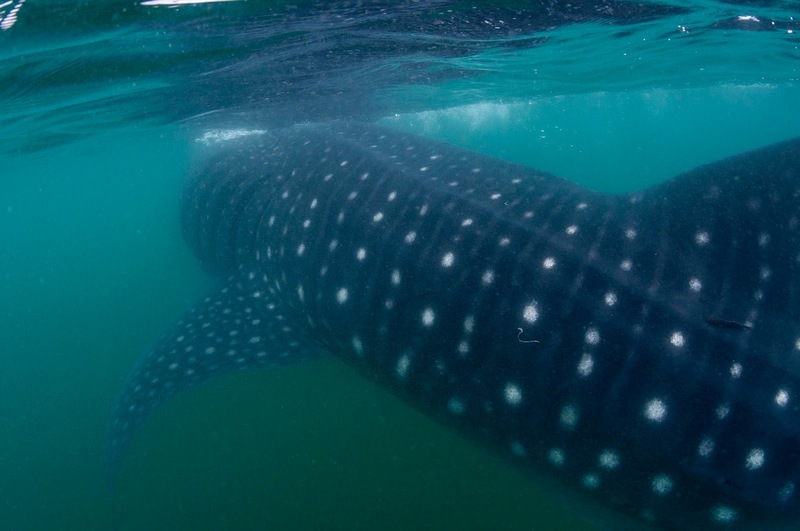 The whale sharks' main agenda here is FOOD, the tiny krill and plankton they relish abounds in the Bay. The giants spiraled round and round, with their gaping mouths open , to consume vast quantities of nutrient rich " broth" and were seemingly oblivious to their excited human observers. I had seen them before scuba diving in the Philippines( see my Oslob post) where the water was blue and one could see everything clearly. This environment was mysterious in a different way. The local boat operators took us to the middle of the Bay and we slid into the water in groups of four, looking everywhere and not seeing what was literally right under our noses until the animals brushed past us! A wildly clanging bell awoke me after a rough night's crossing from Puerto Penasco at the northern tip of the Sea of Cortez. As I prepared for my first dive in over three years, I thought it appropriate to take the plunge in "Guardian Angel Bay." The air was sultry and gray skies dimmed the reflection on dark green water. Nineteen divers scrambled to the bottom stirring sediment. 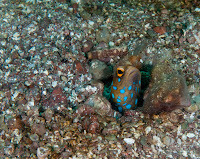 On the bottom barely visible, tiny blue spotted jawfish peered timidly from their burrows in the sand. They emerged showing bi-color slender bodies , but vanished in a split second at the sight of an approaching camera. 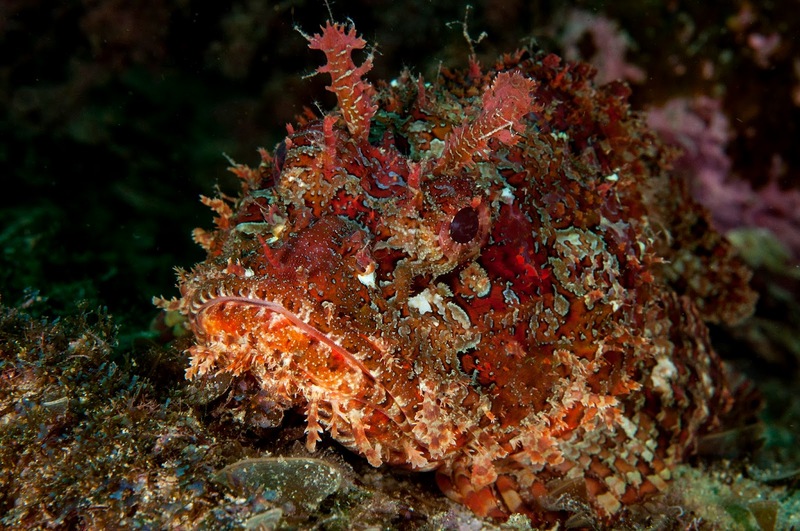 The rocks rising from the seabed were home to many large camouflaged scorpion fish, called stone fish by the locals, as well as timid and playful octopi. 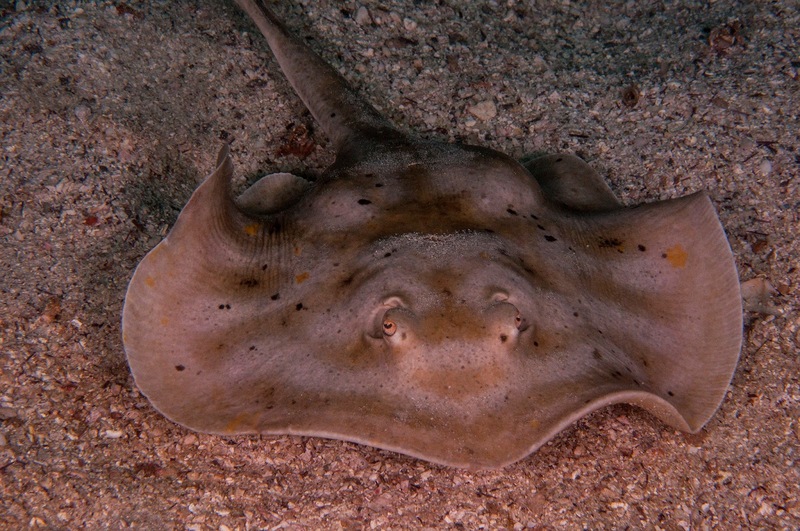 Small gray stingrays darted across the sand. The water temperature was bath tub warm at 84 degrees, and I drifted along beginning to wake up and enjoy a underwater vista I had not seen in years. The visibility was poor and there was a dull green cast to the sea. One had to be careful where to touch down for any contact to steady the camera ( which is why I dive with a pointer).